Chlorosis is one of the most common symptoms of plant diseases, including those caused by viruses and viroids. 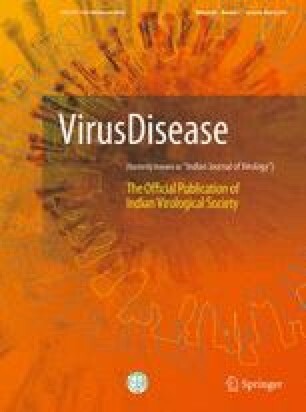 Recently, a study has shown that Peach latent mosaic viroid (PLMVd) exploits host RNA silencing machinery to modulate the virus disease symptoms through the silencing of chloroplast-targeted heat shock protein 90 (Hsp90C). To understand the molecular mechanisms of chlorosis in this viroid disease, we established an experimental system suitable for studying the mechanism underlying the chlorosis induced by the RNA silencing of Hsp90C in transgenic tobacco. Hairpin RNA of the Hsp90C-specific region was expressed under the control of a dexamethasone-inducible promoter, resulted in the silencing of Hsp90C gene in 2 days and the chlorosis along with growth suppression phenotypes. Time course study suggests that a sign of chlorosis can be monitored as early as 2 days, suggesting that this experimental model is suitable for studying the molecular events taken place before and after the onset of chlorosis. During the early phase of chlorosis development, the chloroplast- and photosynthesis-related genes were downregulated. It should be noted that some pathogenesis related genes were upregulated during the early phase of chlorosis in spite of the absence of any pathogen-derived molecules in this system. The online version of this article (doi: 10.1007/s13337-017-0361-0) contains supplementary material, which is available to authorized users. We thank Kazue Obara for technical assistance. This study was supported in part by The United Graduate School of Agricultural Sciences, Ehime University, and JSPS KAKENHI grants 26292026 and 15K14664 to Kobayashi. Bhor has been supported by Rotary Yoneyama Memorial Foundation.